This Mixing Liquid is a liquid base for mixing with dry pigments such as Metallic Powders. Create a liquid application that dries completely with our Mixing Liquid and dry color pigments. The Mixing Liquid holds for extended periods of time but still washes off easily with soap and water. 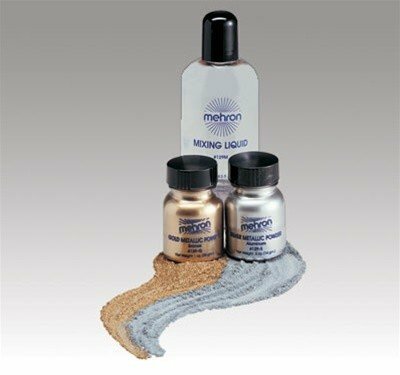 The Mixing Liquid enables you to make unique liquid makeup for special projects in body painting and face painting.